Ribbon-in-space design solves horizontal and vertical alignment challenges. 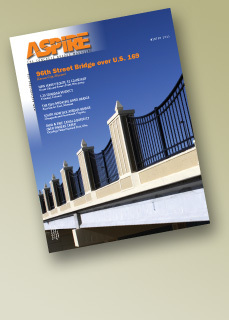 Tight curves and variable depths challenge bridge designers. Segmental box-girder bridge complements surroundings, improves access to Glacier National Park. Virginia's new all-precast concrete bridge restores a vital transportation connection. Concrete allows for the successful reconstruction of a national treasure blending functionality with historic preservation.